A race car made from flax and hemp? Count on Porsche to pull that off. 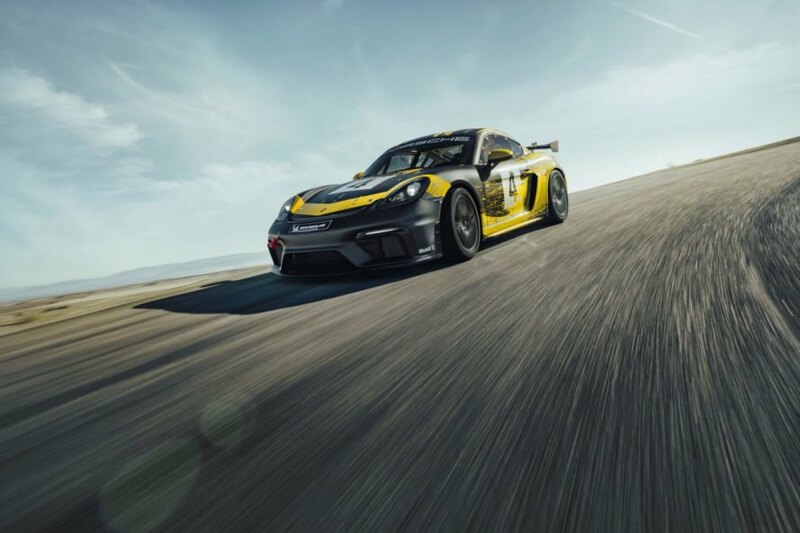 The second generation Porsche 718 Cayman GT4 Clubsport is built with the typical handling and speed capabilities you would expect, with one very different component—body parts derived from natural composite materials. A first in the racing world, Porsche has sourced natural fibers from agricultural byproducts such as flax and hemp fibers to create the doors and rear wing on the cars. 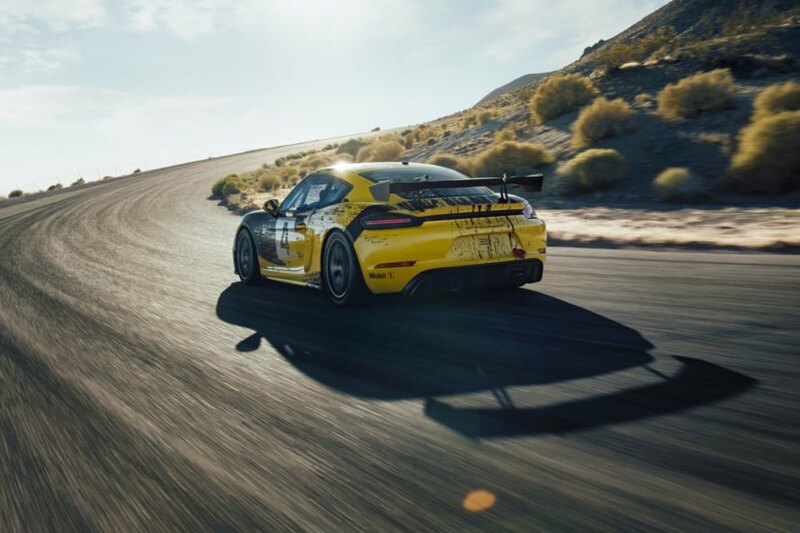 With sustainability in mind, the Porsche company set out to find a substitute for standard carbon-fiber frames while ensuring similar performance, weight and control. But don’t think for a minute that a sustainable design can’t whip past the competition. In addition to decreasing the car’s carbon tireprint, the goal was to increase performance over the original design. 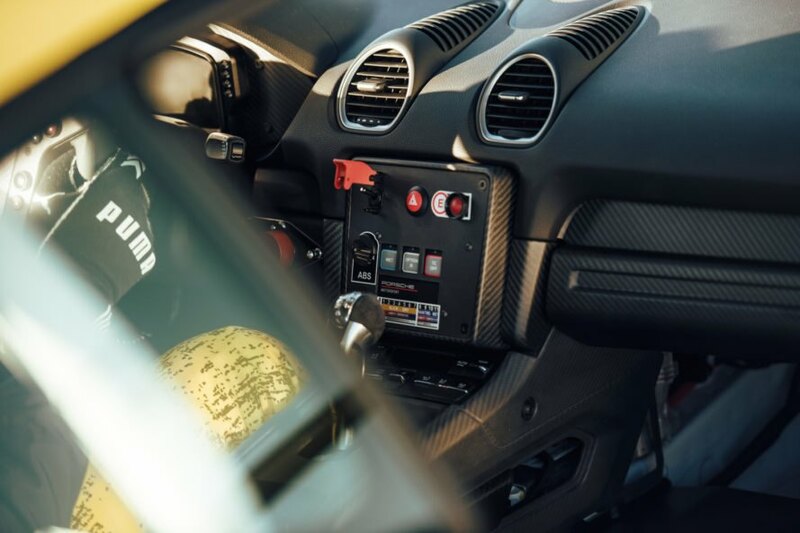 The new 718 Cayman GT4 Clubsport brings with it a 40 hp increase over the predecessor as well a redesigned driver’s cockpit that includes a welded-in safety cage, racing bucket seat and six-point harness. The 718 Cayman GT4 Clubsport comes equipped with a 3.8-liter flat-six, 425 hp engine. Even with upgrades, the newer design is a lightweight at around 2,900 pounds. Two models are available. The “Trackday” is designed for amateur race drivers looking to hit the track with safety in mind and some aid from automatic systems like ABS, ESC and traction control assistance systems that ensure forgiving handling at the limit and can be deactivated. The “Trackday” costs just over $150,000. The “Competition” model targets professional circuit drivers with adjustable shock absorbers, a high-capacity safety fuel tank for less pit stops, an integrated air jack system to aid the pit crew and a quick-release racing steering wheel adopted from the 911 GT3 R that ensures a range of adjustment options for the individual needs of the drivers. The “Competition” model runs around $179,000. 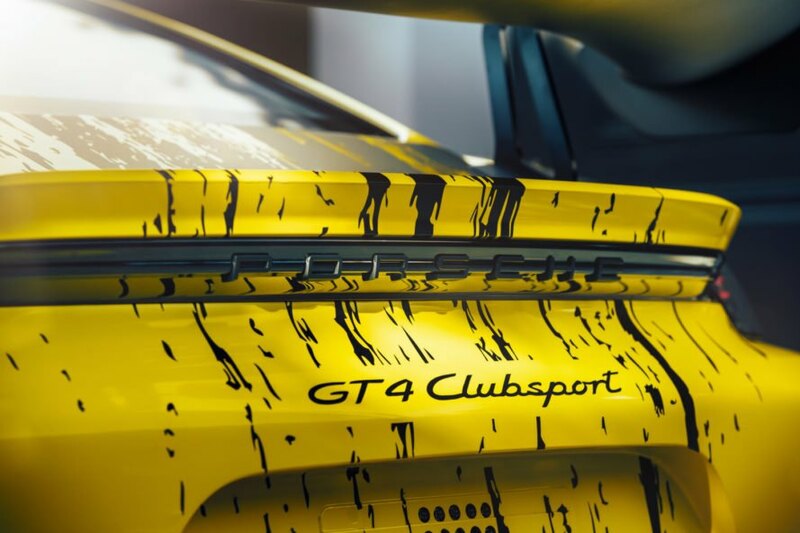 The new Porsche 718 Cayman GT4 Clubsport features a natural-fibre body design. The first Porsche Cayman GT4 was unveiled three years ago. There are two models: The Competition and Trackday. 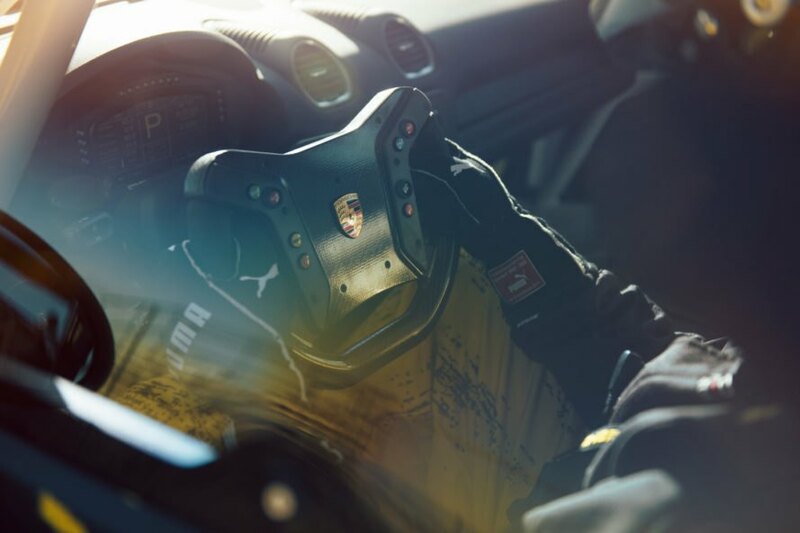 The steering wheel for the GT4 was adopted from the Porsche 911 GT3 R.
The driver's cockpit is one of the many updates the new GT4 features. The 718 Cayman GT4 will available in February.